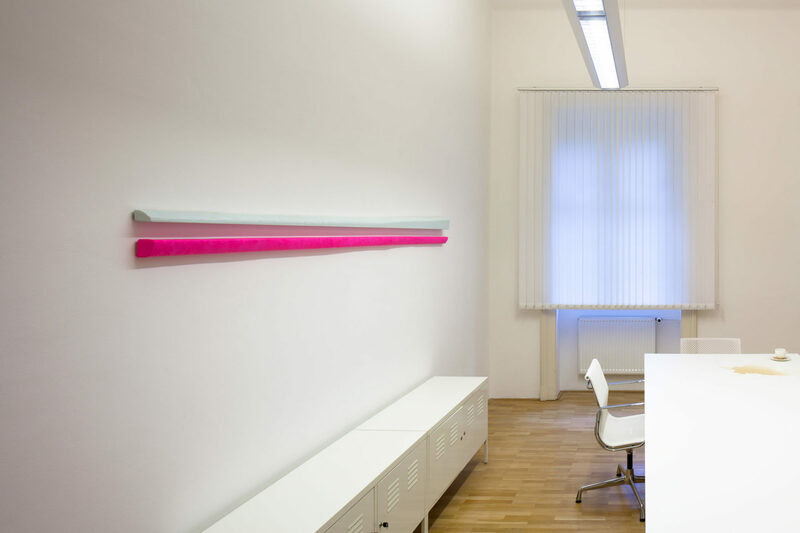 “Antonínská” is a good example of the simplest geometric exercise performed within a project. 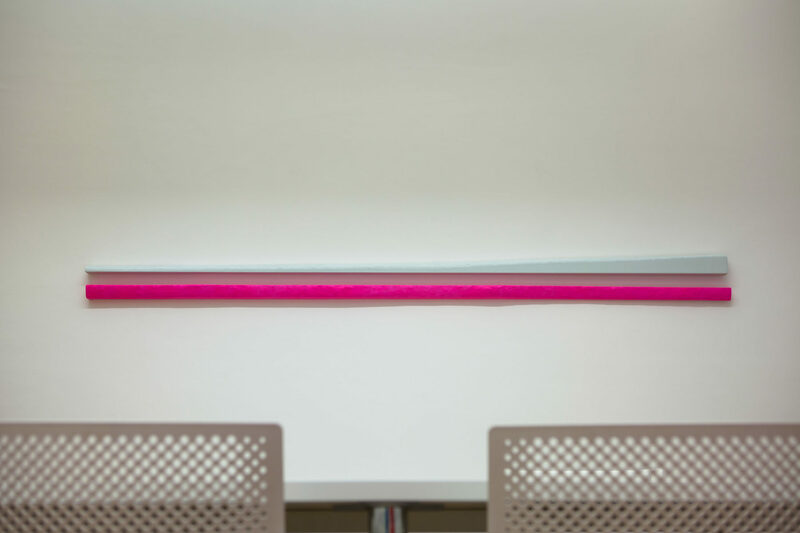 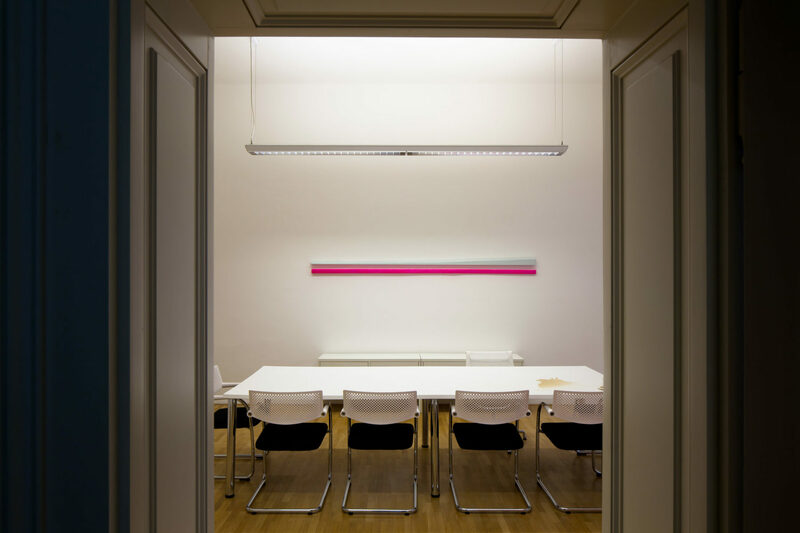 A colour scheme of the applied elements develops the minimalist character of the newly refurbished office and conference room of the baroque-revival building of the Rector’s Office of Brno University of Technology. 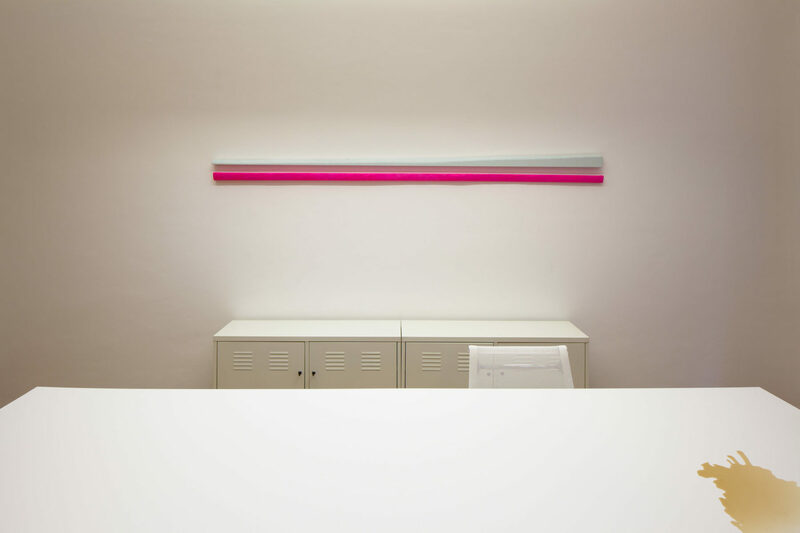 In this case, the aim of the installation was an effort to make a radical intervention in the bright interior layout using minimum means, while at the same time, to disturb the dominant feature of its above-average height. 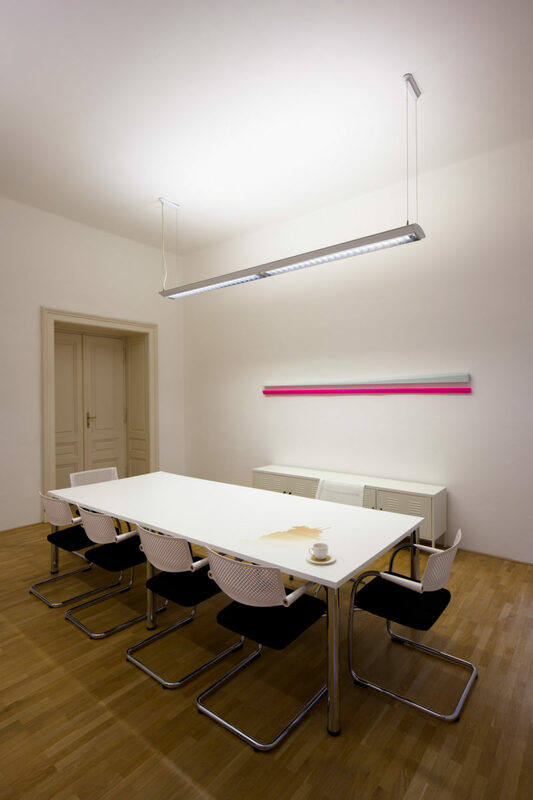 Within the installation, the parallel verticals produced an important central and dividing point in the perimeter line of the room, having partially eliminated the disproportion in perceiving the space as a whole.